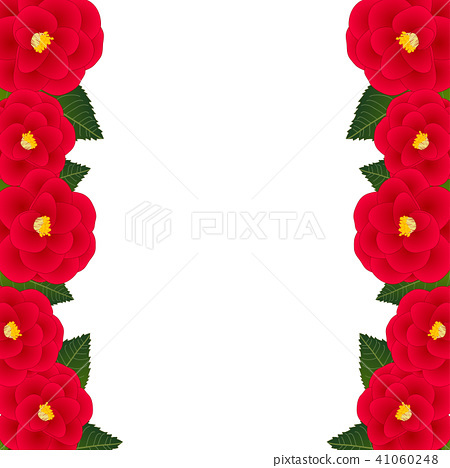 Red Camellia Flower Frame Border.Illustration. 图库插图: Red Camellia Flower Frame Border.Illustration. Red Camellia Flower Frame Border. isolated on White Background. Vector Illustration.